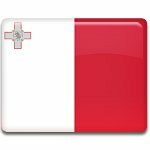 March 31 is Freedom Day in Malta. This national holiday celebrates the anniversary of withdrawal of British troops and the Royal Navy from Malta in 1979. Malta became an independent state in 1964, when the Maltese constitutional referendum approved it. Following its results, Malta became an independent Constitutional Monarchy, with the Queen Elizabeth II as a head of state. Following the elections of 1971, the Labor Party assumed power in the government. It immediately set out to re-negotiate the military and financial agreements signed with the UK during the independence period. Following the tense talks, a new agreement was signed and the British troops left the territory of Malta on April 1. This event is celebrated in Malta on March 31 as Freedom Day. Celebrations start with a ceremony in Floriana near the War memorial. Traditional regatta is one of the most popular events of the day. It is held at the Grand Harbor, the teams taking part in it give the best shot to win the much wanted Regatta Shield.